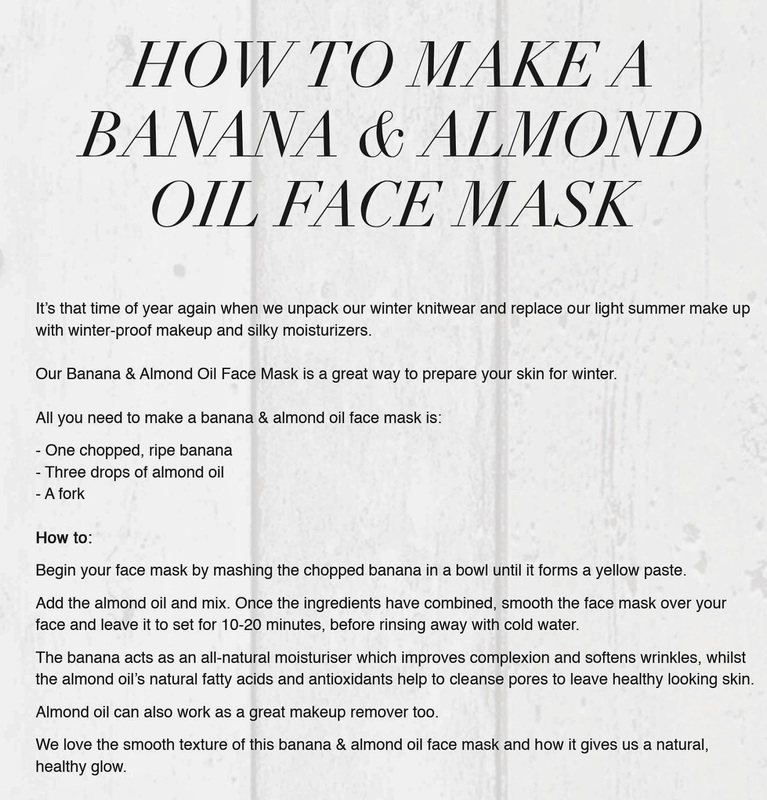 This week I’m looking at yet another face mask recipe, this time a delicious ‘How To Make Banana and Almond Oil Face Mask’ guide, from Dirty Looks. This simple, two ingredient mask will give your skin a healthy glow ready for the summer. Bananas act as an all-natural moisturiser that can help improve your complexion and almond oil acts as an antioxidant pore cleanse – not to mention it apparently makes a fantastic make up remover!